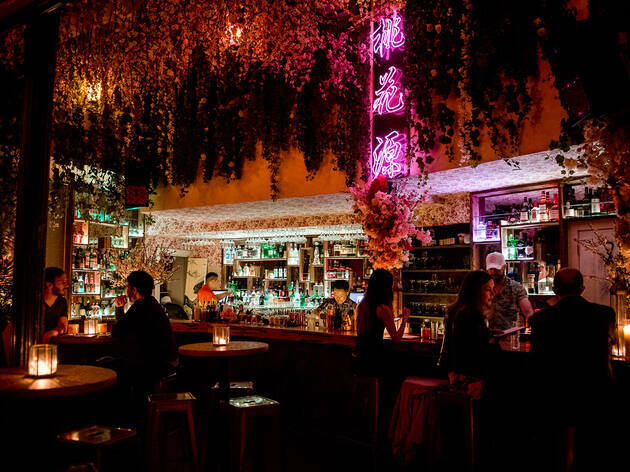 Sure, New York attractions are known across the globe, but what about the lesser-known, secret NYC spots? Thanks to us, you don’t have to do much digging. 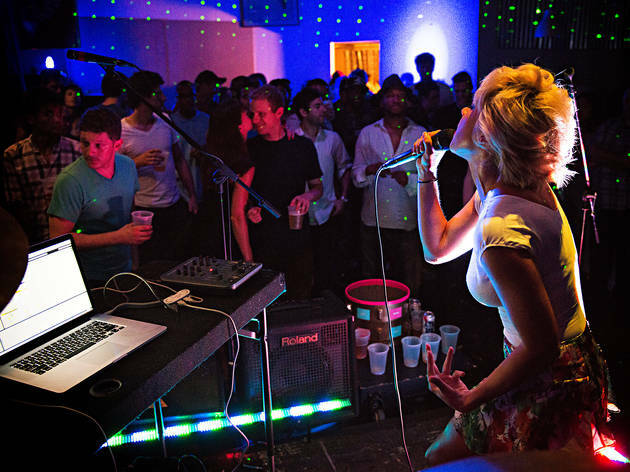 This is a classified list of hidden parties in NYC, in-the-know dinners and buzzy speakeasies in NYC. Just one thing: Let’s try to keep this information between us, cool? Who said boozy brunch is basic? 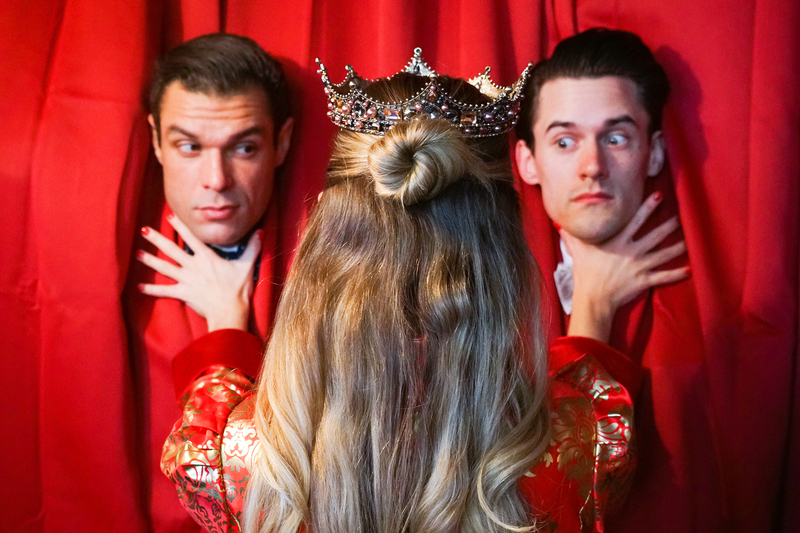 When the spring run of Cinereal Productions’ The Unbrunch opens in April, attendees will be tossed into a world of curious delights. 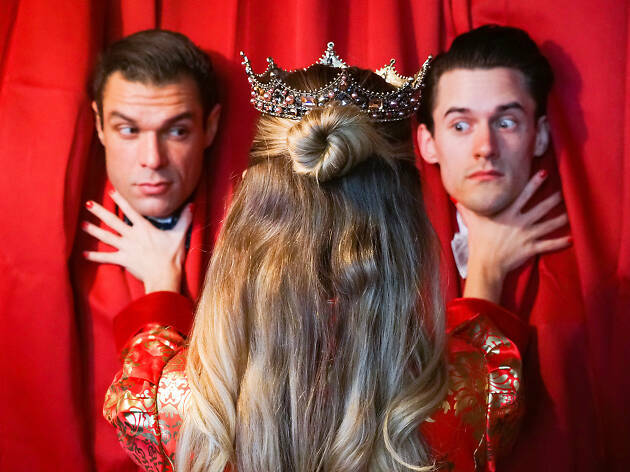 Let the White Rabbit guide you into this retelling of Alice’s Adventures in Wonderland, which unfolds over five stories—with curated buffets of nibbles and colorful libations along the way—all in a private members’ club inside a 1920s Chelsea brownstone, the exact location of which is only revealed upon ticket purchase. 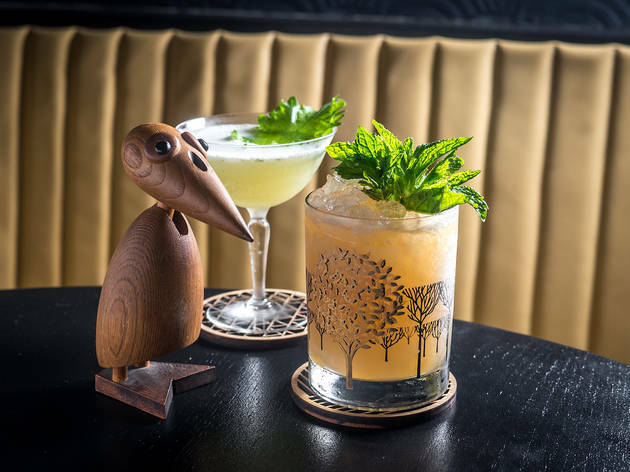 Finding the explorer-inspired cocktail joint Banzarbar is a bit of an expedition in itself: Stroll down a street-art–covered alley off Rivington Street to foodie mecca Freemans, where the maître d’ will lead you upstairs to the out-of-the-way 20-seat tavern. 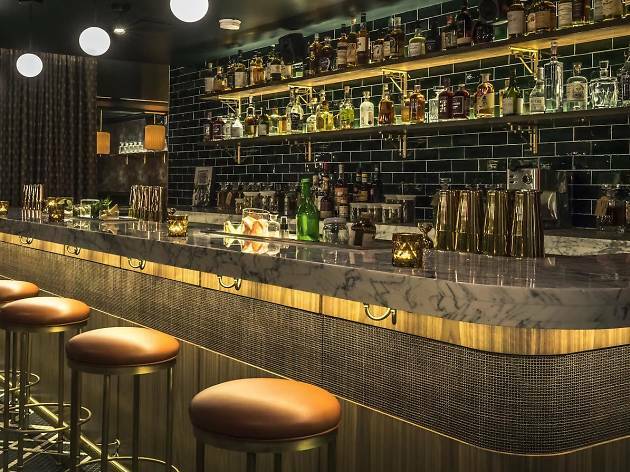 There, you can grab a seat and choose from the five-course, low-ABV tasting menu or order à la carte offerings, such as the Kraken, a tempura-fried whole octopus that pairs well with the Andromeda, a bubbly elixir of gin, sherry, grapefruit and cardamom. 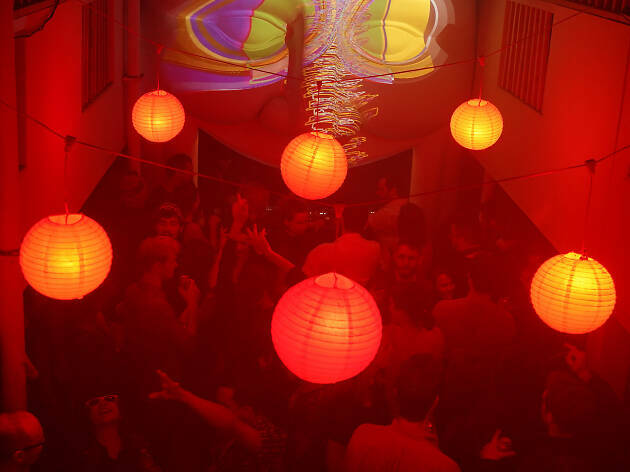 Spearheaded by art insider Sienna Berritto (of gallery-music collective Offline Projects) and DJ Grier Newlin (of party promoter 99 Sense), the members-only spot Gusto just debuted this past New Year’s Eve with an exclusive, sold-out dance party. 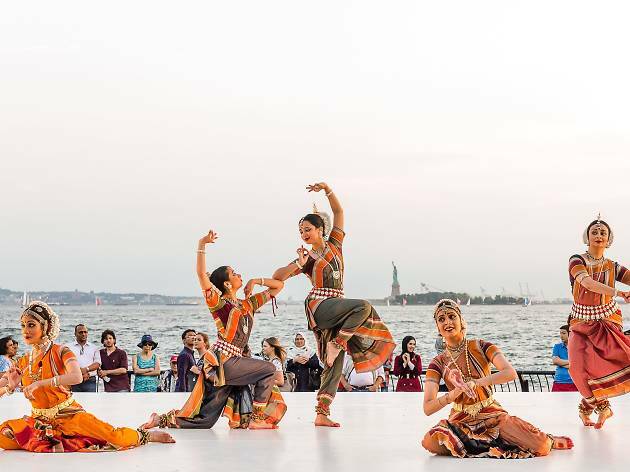 (The venue also hosts musical performances, arts exhibitions and poetry readings.) 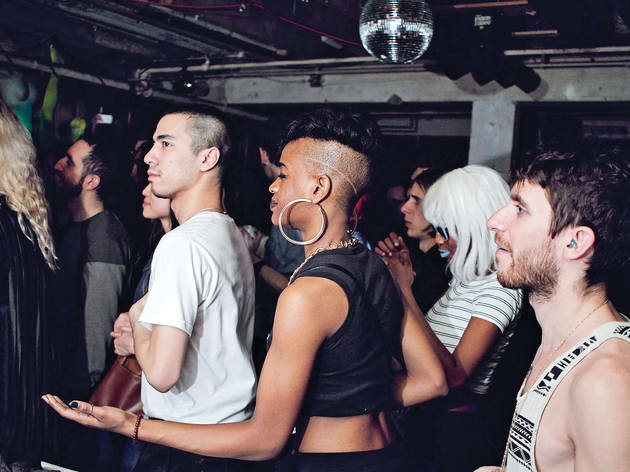 We can’t say much about where the fete goes down, but we will say that its digs are an old theater from the ’80s that once hosted the likes of Steve Buscemi as well as female mud-wrestling matches put on by, yup, Andy Kaufman. 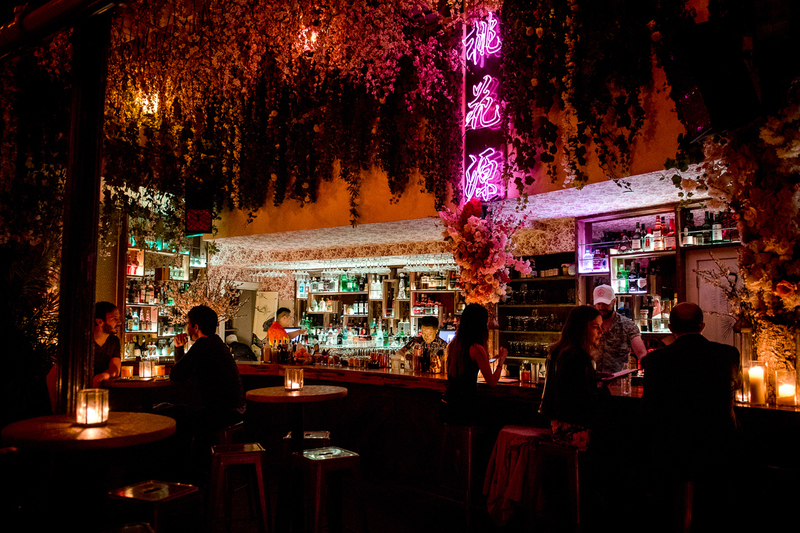 Tucked away on Doyers Street, the crooked Chinatown block known as the Bloody Angle, Peachy’s is the neon-lit bar in residence beneath chic Asian-Aussie fusion restaurant Chinese Tuxedo. 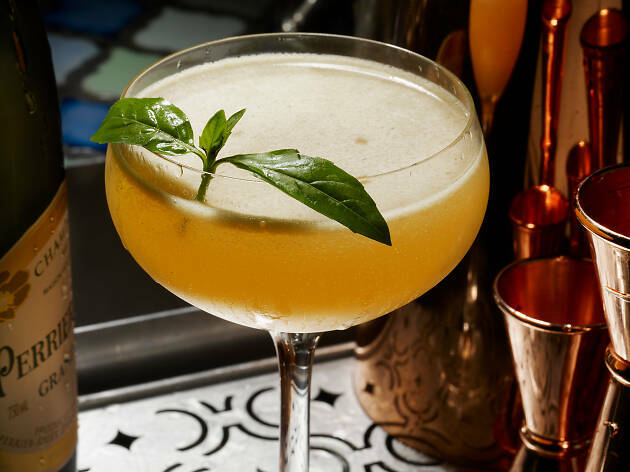 Settle in for classic cocktails along with a range of superfood-infused drinks, with health-boosting additions like moringa, ashitaba, pine pollen (known for its aphrodisiac properties) and other Sun Potion supplements. Confused? 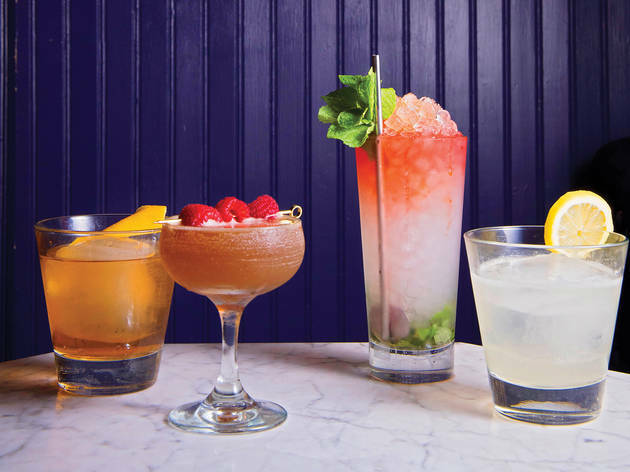 Crack open the bar’s glossary that explains the ingredients’ purported alcohol-balancing benefits. Come for the ramen and stay for the tipsy treats. 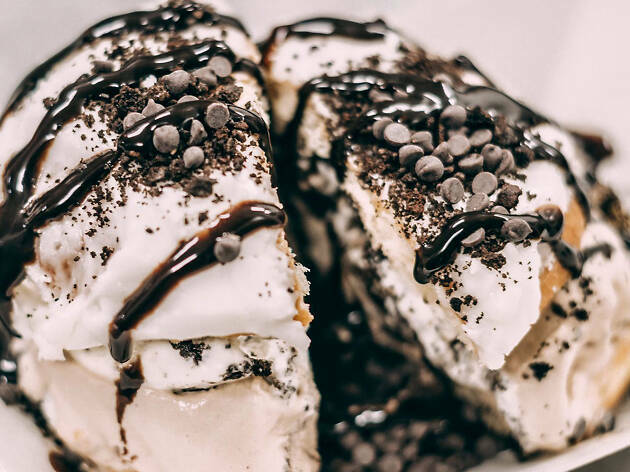 Tucked in a patio at the back of Jersey City’s beloved Ani Ramen House, Luigi’s Ice Cream is a frozen-dessert speakeasy that specializes in boozy scoops. 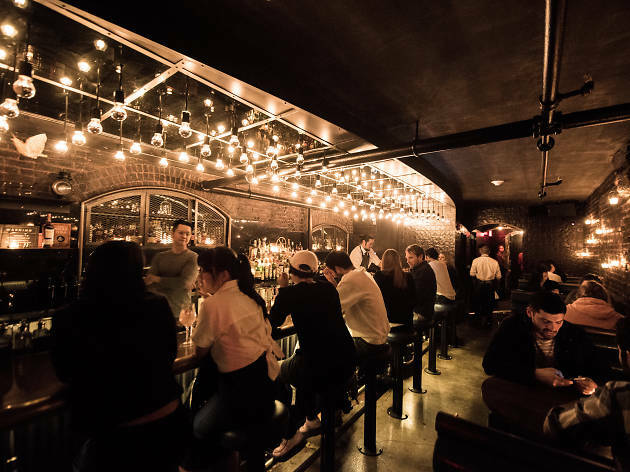 There’s no sign out front to reveal the way, so just walk past the bowls of steaming noodles and into the industrially trimmed backroom parlor for flavors like Hennessy-pineapple, Bacardi-coconut or the fantastic tequila-rosé strawberry shortcake with Nilla wafers on top. 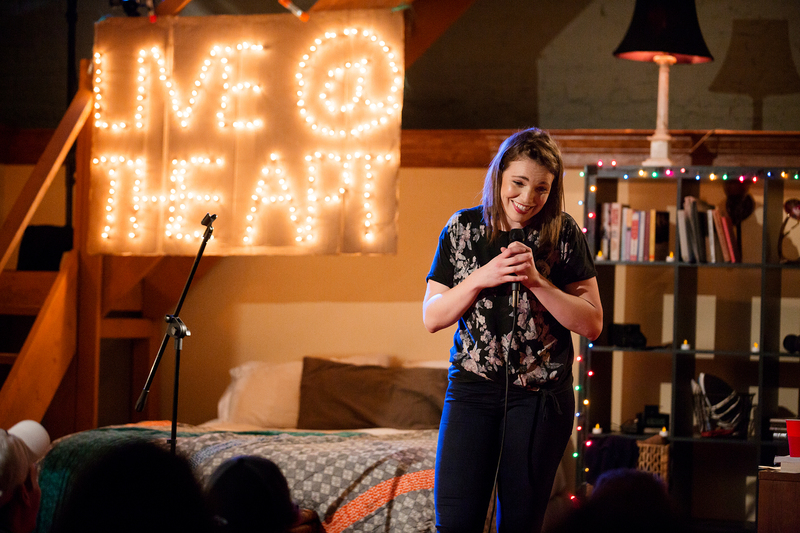 What started as a simple concept—“stand-up in a walk-up”—has become a comedy phenomenon. 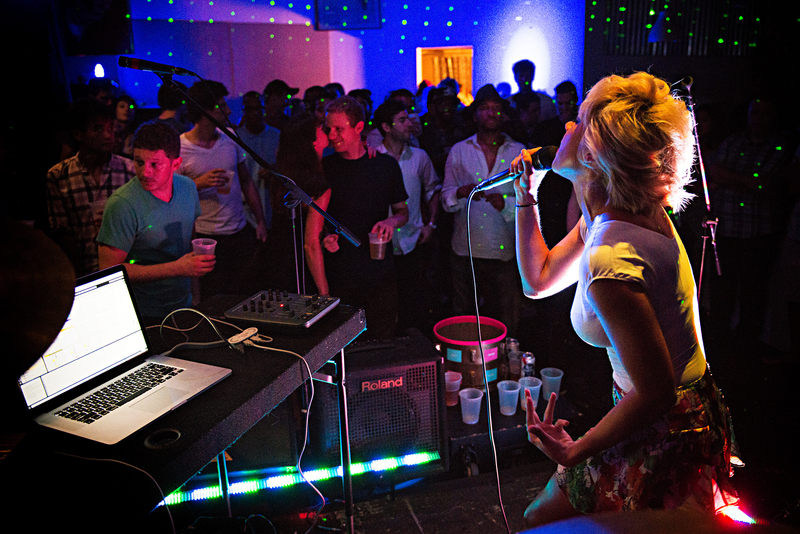 In the five years since its three founders started hosting gigs in a fifth-floor East Village apartment, Live @ the Apt has become a hub for next-generation talent, with performances from the likes of Phoebe Robinson, Hasan Minhaj, Hannibal Buress and John Early. 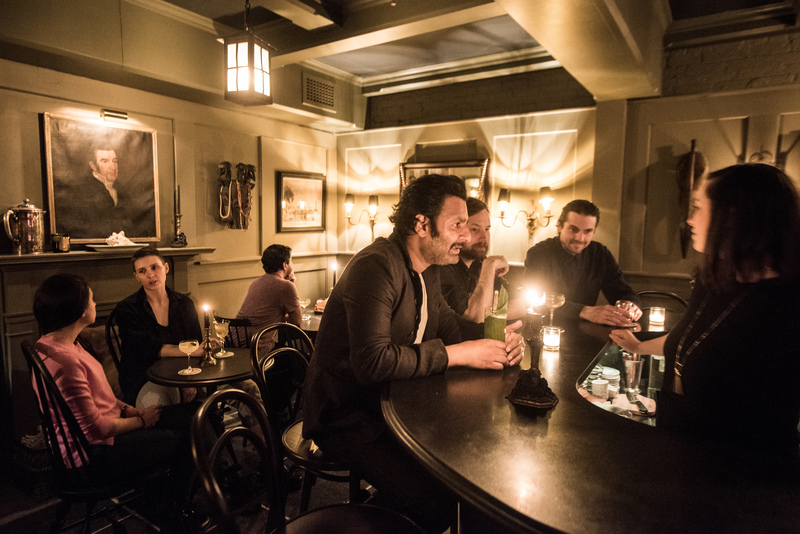 Since outgrowing its original home, the series has expanded all over the city (and has even made a cameo on HBO’s Crashing). Various locations (liveapt.tv). Register online to make a reservation. $10. 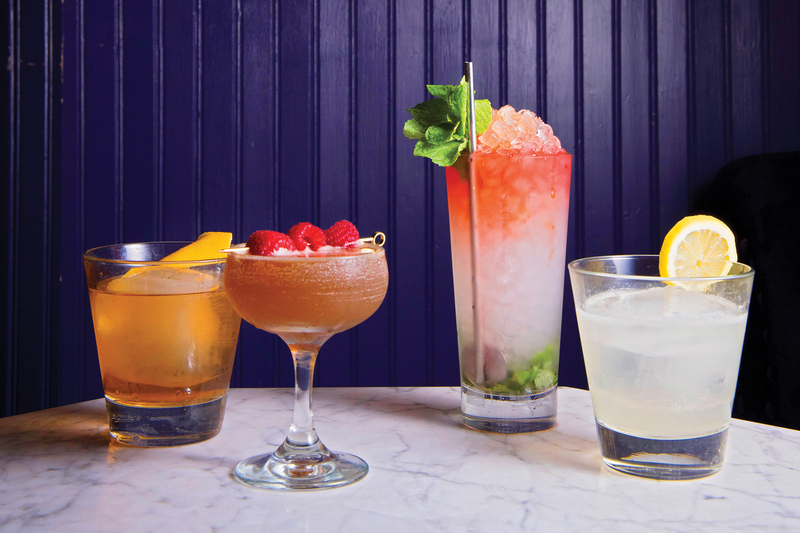 At Blue Quarter, a cocktail bar hidden behind a bright-blue door in the back of East Village eatery Local 92, the menu is as petite as the 18-seat space, with a nine-drink list that’s rife with moments of inspiration. 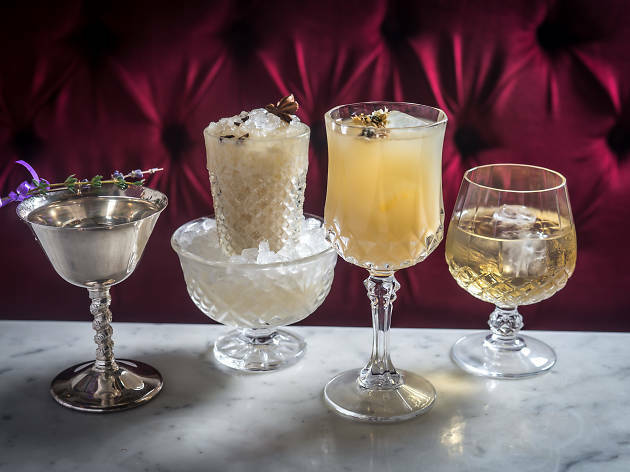 The libations spring from the minds of two veterans of the bitters-focused bar Amor y Amargo and are steeped in another complex bevvy: tea. 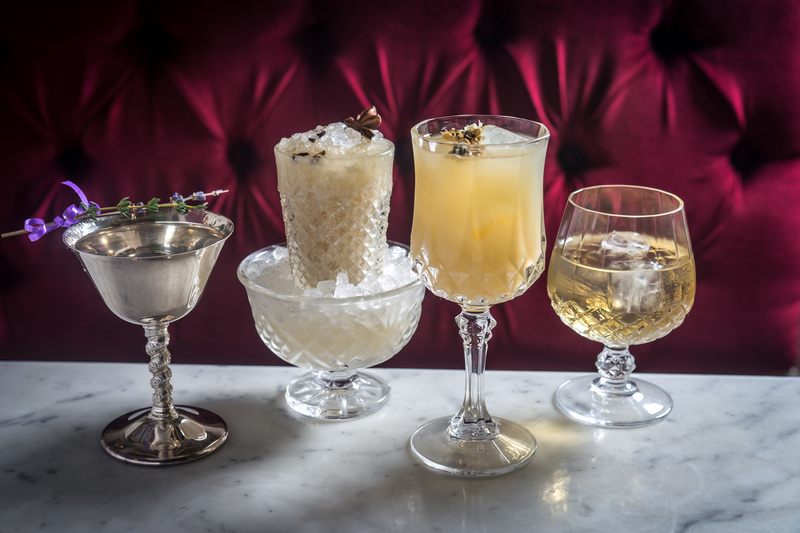 Expect alcohol-infused riffs on Earl Grey, mint and matcha strains, as well as the Oolong Island Iced Tea—a take on the high-octane classic—served in a glass Coca-Cola bottle. After a series of roving pop-up exhibitions in apartments and other nontraditional spaces, contemporary-art curator Doppelgänger Projects has put down anchor in a multifamily building in Ridgewood. Often featuring an immersive, conceptual bent, the installations occupy the first two rooms of the second-floor apartment, but lucky visitors have also been invited into the back living space for tea and conversation. In March, the gallery will host a selection of ink drawings and ceramic sculptures with a surrealistic twist from interdisciplinary artist Sarah Grass. 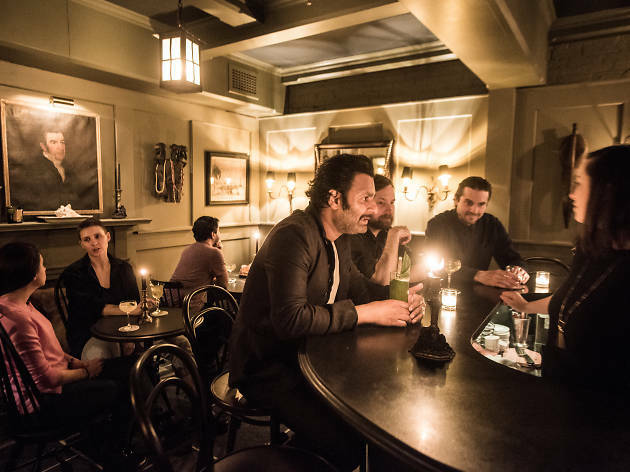 For a romantic, carb-heavy date, snag a special reservation at chef Giancarlo “Wendy” Cacciatori’s new Hudson Square temple to tortellini, Nonna Beppa. 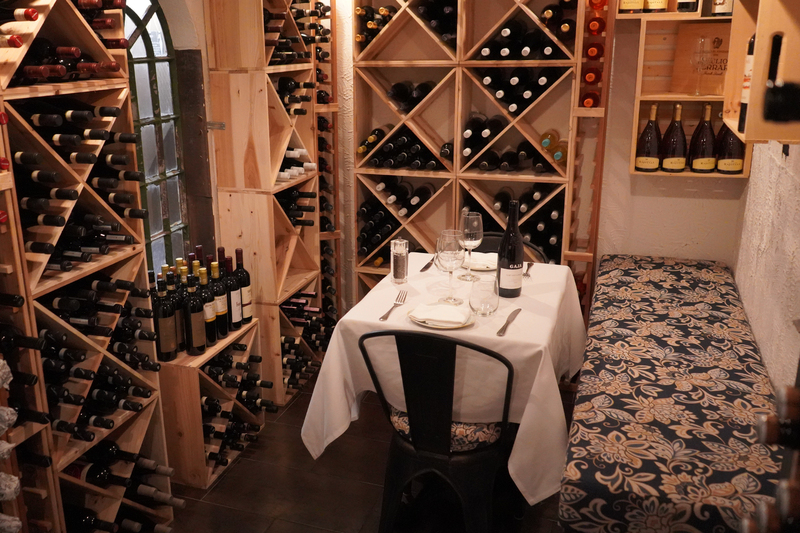 For $300 a couple, you can dine in your very own room for two in the restaurant’s bottle-adorned wine cellar. 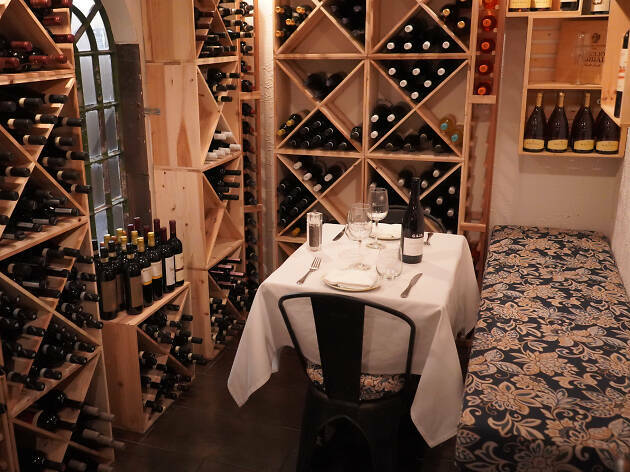 Being pampered by your own personal server, listening to classic Italian tunes and tasting a multicourse menu that’s inspired by your very own culinary preferences? Now, that’s amore. 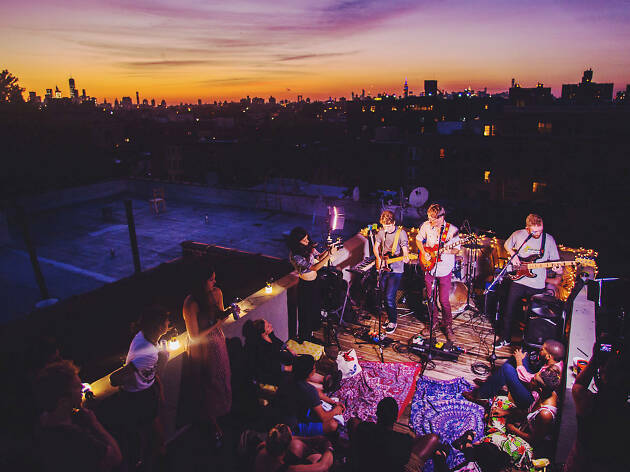 Surprise is the one constant with Sofar Sounds, which transforms unexpected spaces—shops, offices, apartments, breweries—into one-night-only venues for secret shows. To experience the magic, sign up for the ticket lottery five days before an event (check the site for dates); the location will be revealed 36 hours in advance, but the lineup will remain an enigma until the show begins. 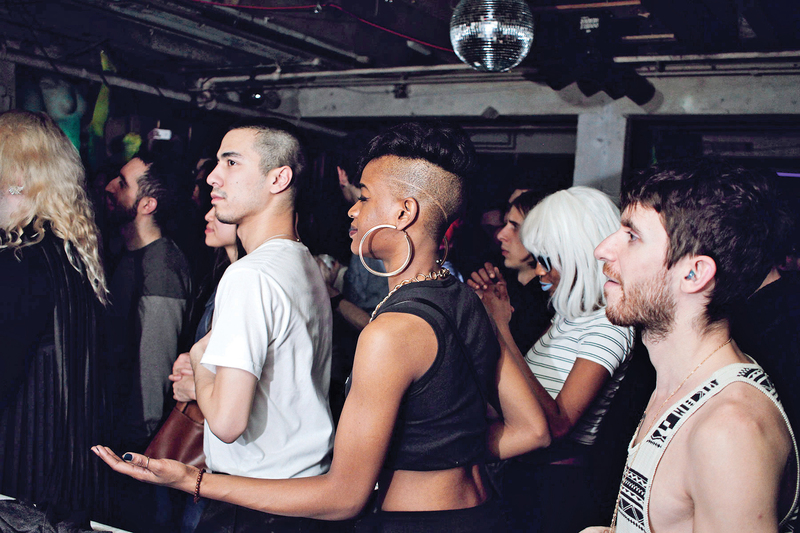 Expect intimate, stripped-back sets from all types of performers in all types of places. 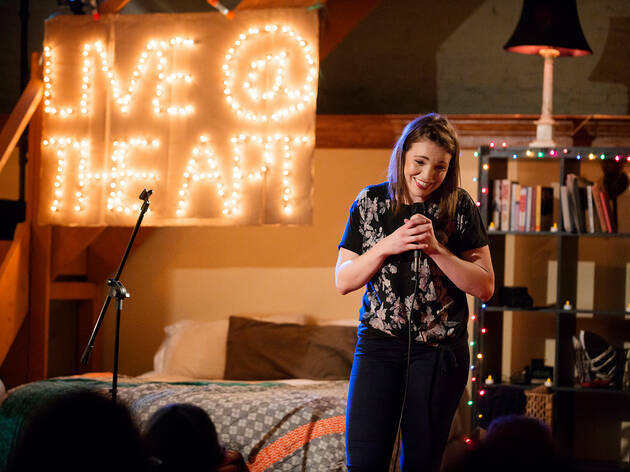 Recent act-and-venue pairings have included Jules & the Jinks, winner of Afropunk Fest’s 2018 Battle of the Bands, playing at a coffee spot and Nashville country trio Maybe April performing at the Brooklyn Historical Society. Just BYOB, sit on the floor and get ready to discover something new. 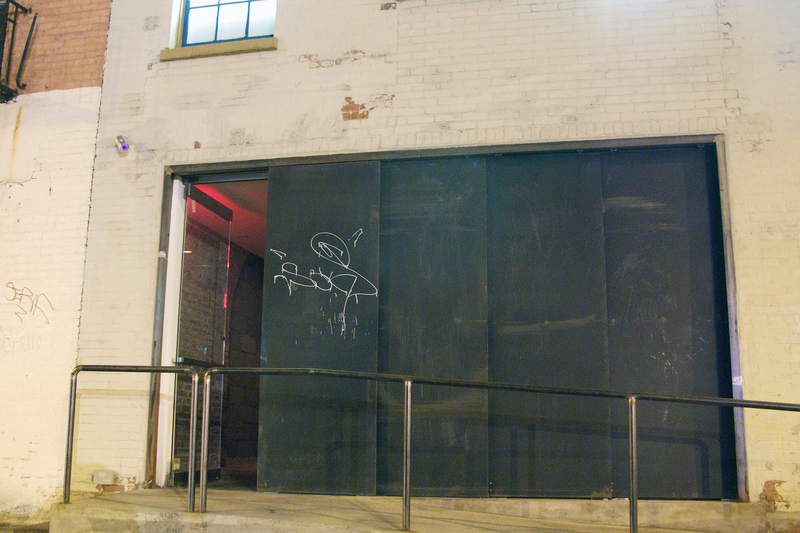 Enter a four-digit code (it’s 4927) in front of Nomad’s landmark Radio Wave Building to access Patent Pending, a dimly lit, subterranean cocktail den whose theme was sparked by a famous former tenant, inventor Nikola Tesla. 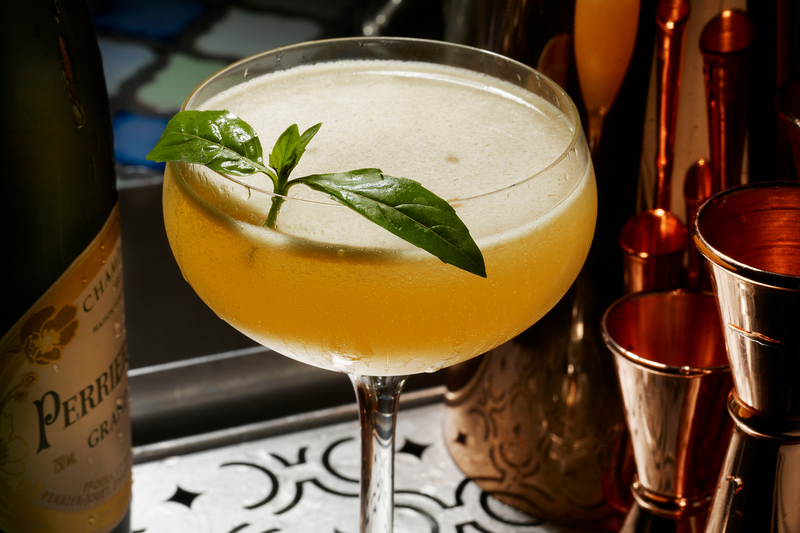 Try out the bourbon-and-rum Light Me Up, which amps up mango black tea and citrus with a jolt of amaro and Szechuan peppercorn. The Museum of Interesting Things’ name alone is enough to spark our curiosity. 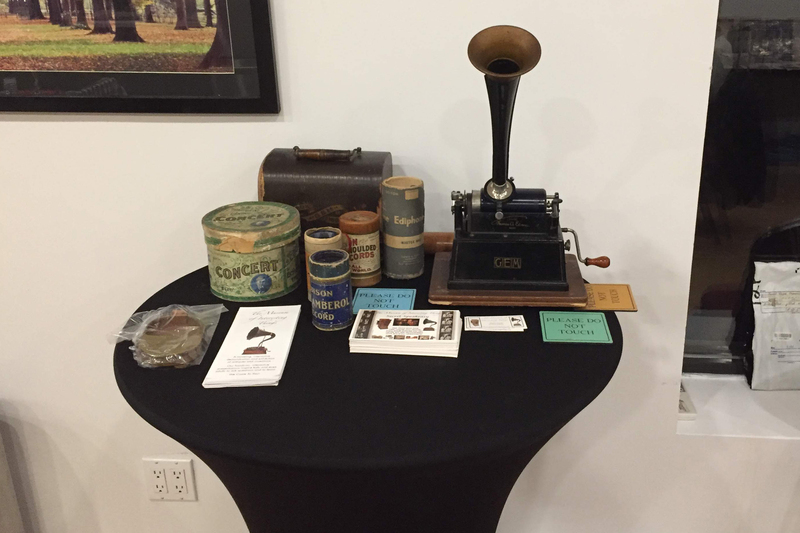 Denny Daniel, the curator of that roving, interactive exhibit of oddities, also presents the series The Secret Speakeasy, a museum benefit that takes place each month in a Soho loft. The March edition celebrates women with its “Suffragette City” theme, along with the usual slate of 16mm films, jazz music, antiques, a cash bar and other delights from way back when. Situated in the back of Warhol-themed restaurant the Factory 380, Edie’s is a speakeasy inspired by the artist’s iconic muse, the star-crossed socialite Edie Sedgwick. 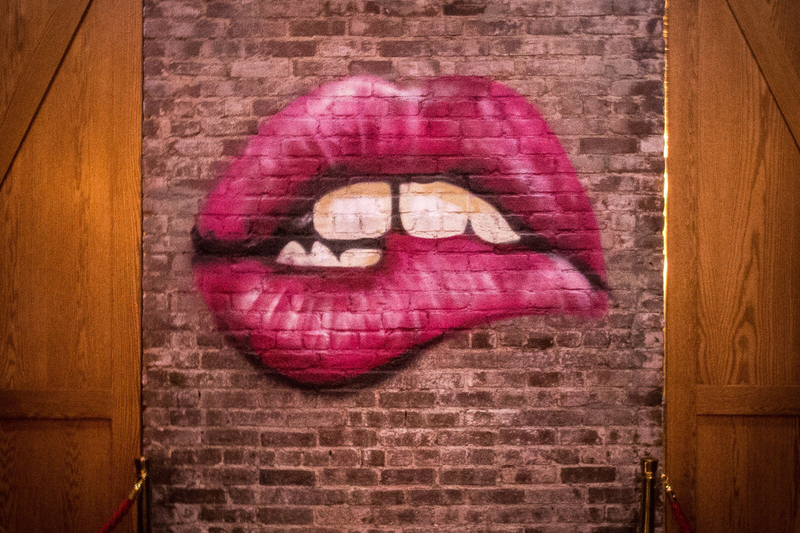 While the food focuses on NYC faves (roasted nuts, dumplings), the libations—with cheeky names like the Camera Adds 10 Pounds—pay homage to the man who coined the idea of “15 minutes of fame.” In keeping with the spirit of the Factory Girl herself, gear up for a glam Pop Art setting, which is accessible just past a payphone—painted in Warhol’s signature silver, natch. 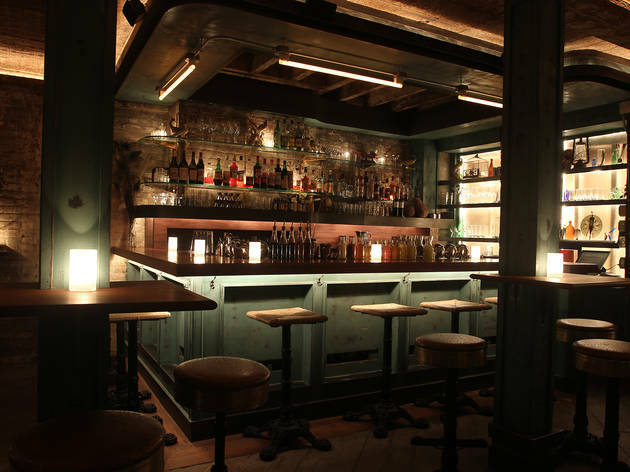 The cellar-speakeasy hidden in the Brooklyn Heights French bistro Chez Moi is a cocktail bar fit for a queen. Modeled after Marie Antoinette’s opulent private chambers, Le Boudoir has its historically accurate design down to a T, with plush red-velvet–tufted banquettes, gilded frames, wooden paneling and a ceiling reproduction of the 17th-century parquet de Versailles flooring pattern. After ducking into the secret passage, sip appropriately named cocktails like the absinthe-based Dauphin and the 1793, featuring rye infused with sunflower seeds, served in antique-looking metal goblets, and lounge in a dimly lit grotto while discussing French politics…or something like that. 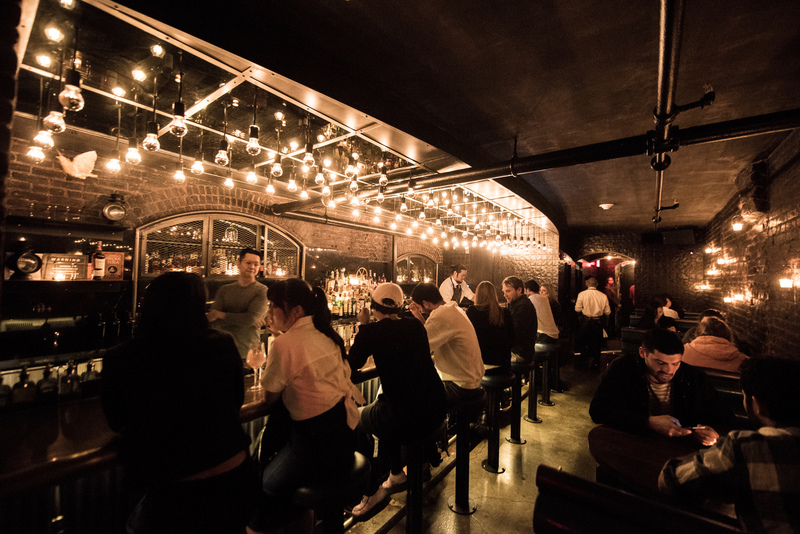 Tucked behind an unmarked door at the back of Fort Greene’s beloved eatery Walter’s, this Japanese izakaya has a small but buzzed-about menu (spicy sesame duck wings, to start), but what packs ’em in are the drinks: a top-notch variety of sake, shochu and Japanese whiskey. Even though you have to enter through a backroom vault with a secret code, we promise it’s all completely legal—quite unlike the embezzling exploits of 1920s bankers Max Garfunkel and Marcus Tauster, whose former office building is the exact location of Garfunkel’s, which sits above burger joint the Burgary. (Peep newspaper clippings from the duo’s felonious heyday amid the framed vintage photos.) The aesthetic here is old-school glam: Purple tones, velvet couches, tufted club chairs and a wall-engulfing bookcase with novels and knickknacks. 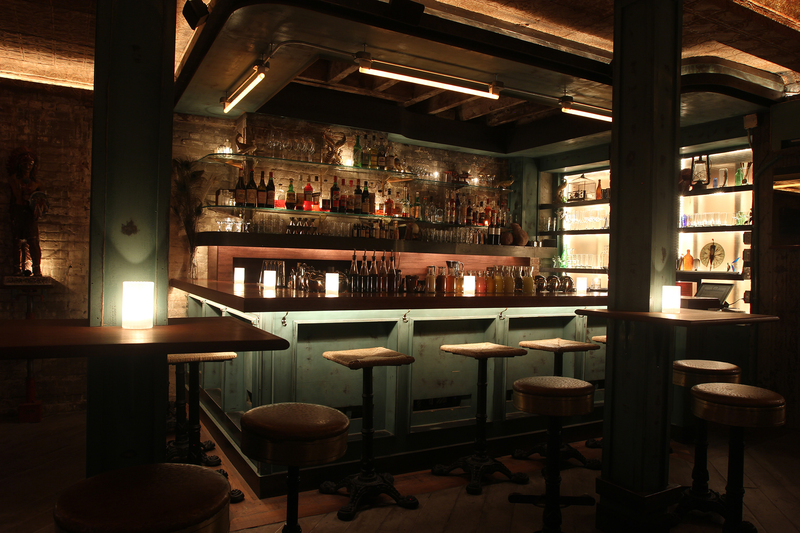 Book a reservation online, and you’ll receive a code for the vault that’s located at the back of the Burgary. Walk-ins are accepted if space allows. 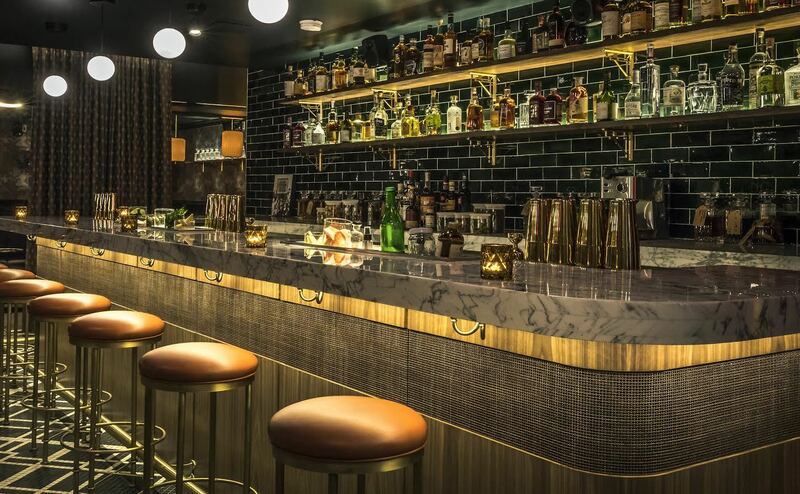 The team behind Bathtub Gin opened another upscale, Prohibition-style speakeasy in Chelsea cheekily named for the amendment that ushered in the booze ban. 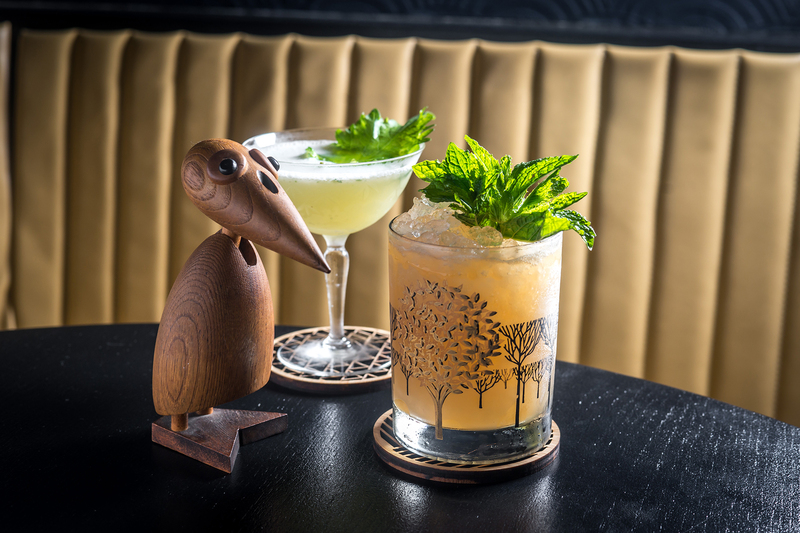 Sip intricate quaffs like the quail-egg–topped Sensi Crickete (rum, stout, cacao), or slink into a velvet banquette inside the moody, Art Deco lounge. 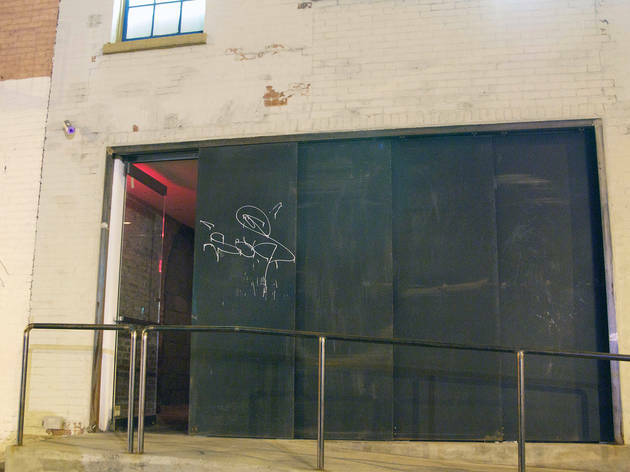 The bad news: This covert Japanese-influenced restaurant, which sits beyond a butcher shop on Great Jones Street, has no published phone number. And the only surefire way to reserve a spot at this 25-seater is to get its digits from a previous diner. 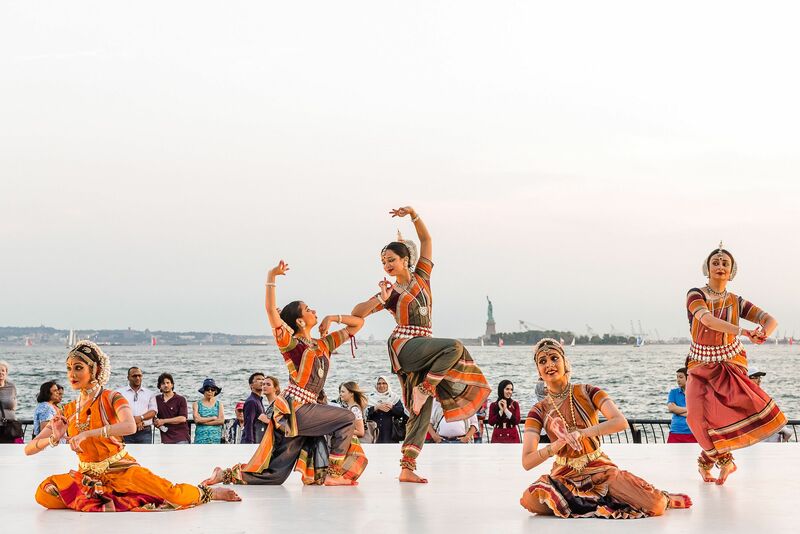 (You can also try your luck by emailing ny-info@playearth.jp with the subject line “Visit Enquiry” for a chance to be selected for a reservation.) The good news: Getting into the super-exclusive space, which was once home to Jean-Michel Basquiat, will give you bragging rights for months. For being so VIP, Bohemian’s decor is quite simple—minimalist, with a Zen garden, lounge chairs and plenty of wall art—and its menu is down-to-earth (but delish! ), with wagyu beef sliders and mac and cheese.